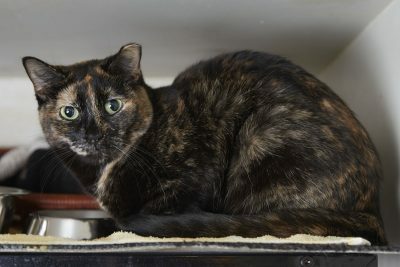 Sunshine is a beautiful, black tortie with amber highlights. 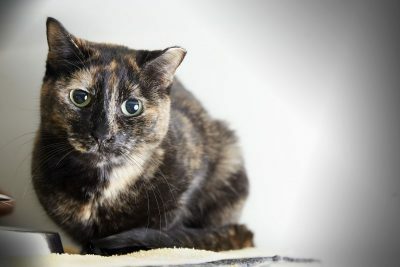 She likes to play with quiet toys and would do well as an only cat or with another calm kitty. It may take a while before she’s completely comfortable in her new home, but with kindness and understanding, you’ll see her blossom.